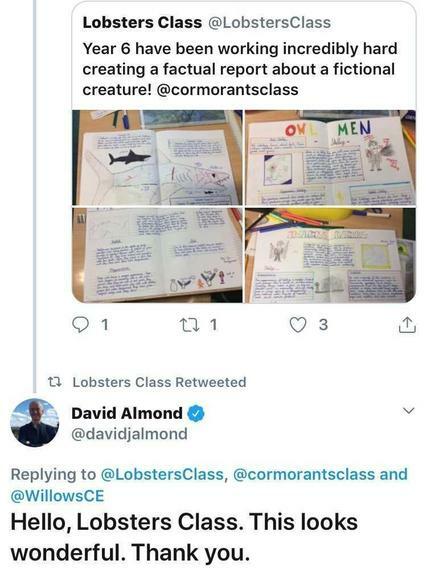 As part of our Reading for Pleasure intiative, Year 6 Cormorants and Lobsters have been reading and analysing the David Almond text, Skellig, a great work of children's literature. At different points in their work, Mrs Lane and Miss Castle have tweeted the famous author, bringing his attention to the impressive writing the children have produced. Each time he has responded, which is very encouraging for our budding writers.